BTW, I cannot connect to JDBC Connection in Teiid Instance configuration page, what should I do to fix with is issue? java.lang.NumberFormatException: For input string: "1.0.0"
However, I can't solve the problem, ether, the vdb version text is already "1". Like the image bellow, I'll got the error not until executing the [Deploy] action, but also the [Test] action. 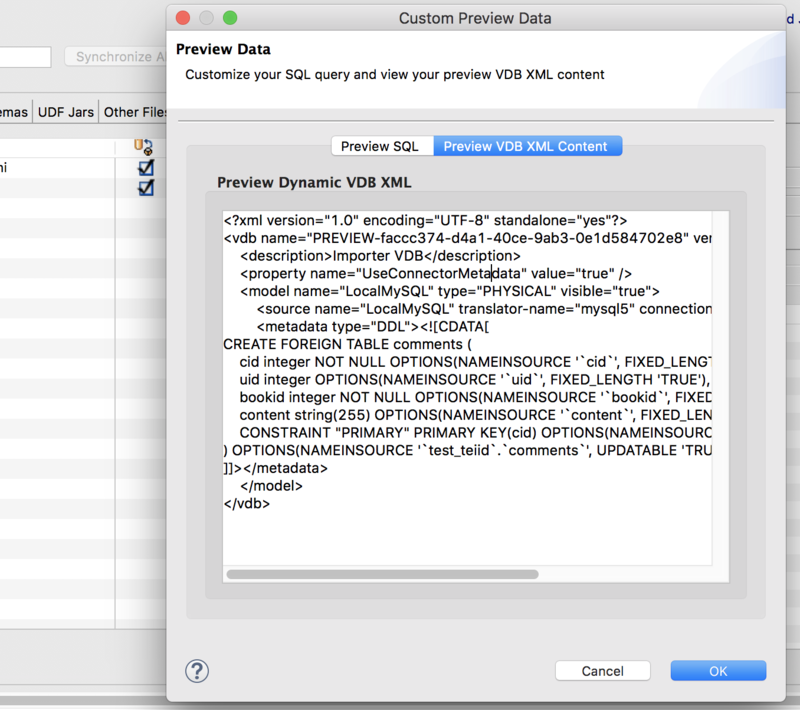 And BTW, when execute PreviewData, the PREVIEW xml context where not able to be edited. I was using the latest Teiid Designer. See if you can clean any previous VDBs with the same name deployed and undeploy them. Another option is to use latest Teiid Server too, which should be able to support either version number. I'd tried, however it didn't make sense, but thank you any way. The vdb rest api were able to be access when i deployed to teiid server. I have another questing wishing you to help me solve thatHow can I deploy VDB for a SOAP interface in TeiidDesigner? The semantic version scheme is introduced in later versions of Teiid and Designer support followed, so when the versions mix match you will see this issue. But the backward compatibility is there thus I suggested just use 1 as version. I will answer next question in that post.